Solution: Which structure is consistent with this 1H NMR spectrum? Which structure is consistent with this 1H NMR spectrum? 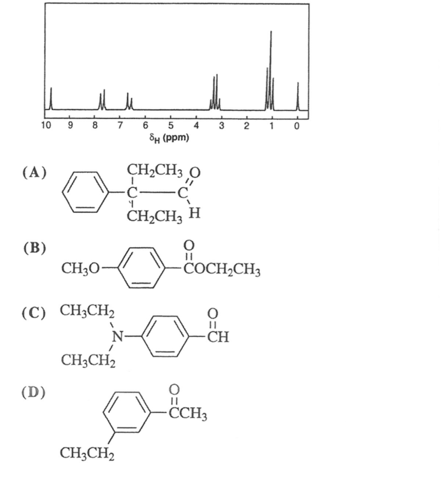 Which compound belongs to following 1H NMR?